Whether your wish is to lose weight or to upgrade your fitness levels, you will attest to the fact that the top barriers to your goals are time constraints and overstretched budgets. An easy way around these barriers is to purchase an exercise bike- portable or stationary- and be exercising wherever and whenever you wish. On average, exercise bikes will help you burn about 300-450 calories for a 30-minute workout, making it ideal for those struggling with weight management. Exercise bikes are made differently and have different capabilities. If you are shopping for a bike, the factors that should always consider are its monitoring system, flywheel speed, comfort, efficiency, and user safety. These factors determine how good an exercise bike is relative to another. This article describes the 1o best exercise bikes available in the market today. Experience comfort coupled with a full body exercise with this steel-framed exercise bike with rubber paddings on the seat and handlebar. It comes with a magnetic resistance system that gives you flexibility with regards to different fitness levels; you can easily adjust the bike to 8 preset levels without having to stop your workout. Its upright nature allows you to exercise without straining or hurting your back, consequently allowing you to push your limits even more. • Pedals and foot straps are not durable. This is the ideal bike for beginners and amateur fitness enthusiasts due to its user-friendliness. It comes with 8 preset tension levels, giving you the freedom to choose the right level for you depending on how to fit you are. It has foot straps for your balance and an LCD display for your workout data updates. 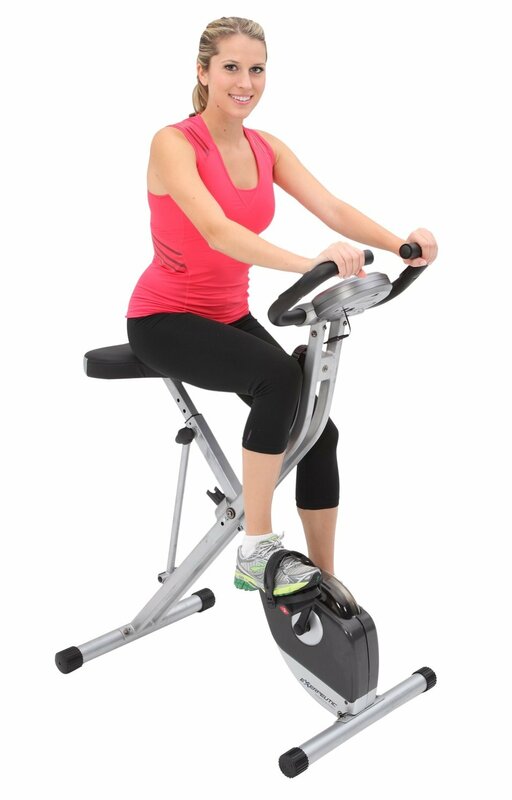 The Velocity Exercise Magnetic Upright Exercise Bike has rubber padded handlebars and seats for an added comfort. What’s more, you exercise with an upright posture meaning that your back is not unnecessarily strained. If you love exercising both at home and at your office, then you ought to purchase this bike for its light, portable, and has transport wheels to enhance mobility. • Not suitable for plus size users. Are you looking for an exercise bike that doubles up as your training accessory and training guide? This is the bike for you. This bike employs post-modern technology to incorporate 22 training programs that monitor your progress and advice you on whether or not you are training as per your preset goals. 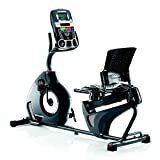 Schwinn 230 Recumbent Bike comes with dual settings for the tracking system, training programs, and LCD displays, all designed to give you a customizable training experience. The LCD display system, in particular, gives you updates from 13/22 workout programs at any given time and thus motivates you to keep pushing yourself harder. This bike allows you to adjust to 20 fitness levels without having to stop your workout. 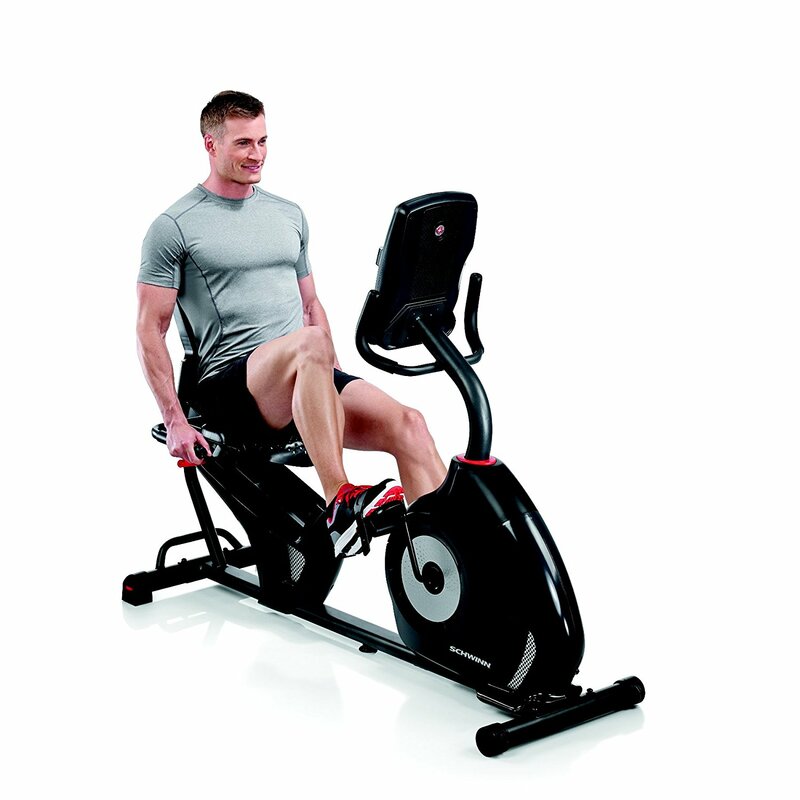 Schwinn 230 Recumbent Bike is designed to carry not more than 300 pounds. This bike suits your indoor workout perfectly well but could be limiting when you wish to go for outdoor training. Measuring 55.5 inches by 25 inches by 37.5 inches and weighing about 66 pounds, this fitness bike may not be the best bike to carry around. If you need an indoor bike with a reliably accurate and large LCD display, then this is the bike you should purchase. Its preset strain levels are eight and you can be easily adjusted and fastened the fitness level of your choosing using the tightening knob below the display. For your extra comfort, the bike comes with a rubber padded seat and backrest as well as handlebars on either side of your upper body. Purchasing Marcy ME 709 Recumbent Exercise Bike guarantees you of everyday convenient peddling and general training due to its transport wheels, counterbalanced pedals, and adjustable foot straps. 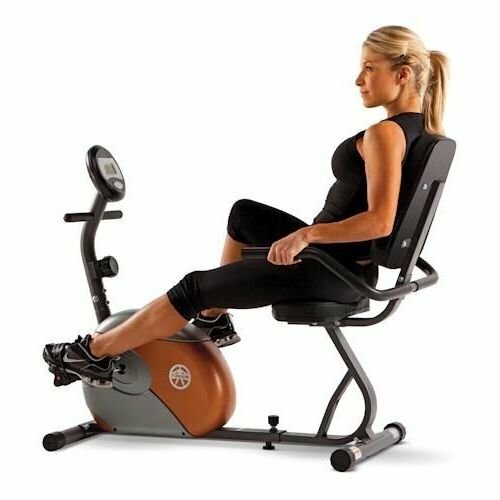 You will be surprised at how easily you can burn calories with Marcy ME 709 Recumbent Exercise Bike. Do you spend most of your time sited down at a desk? 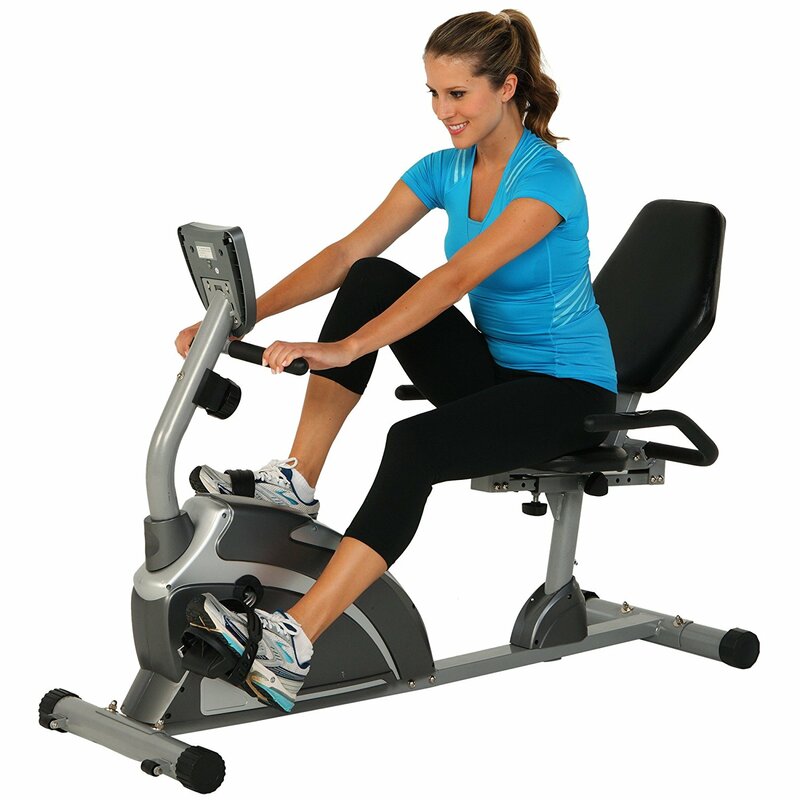 This is a good fitness bike for exercising your legs and enhancing blood circulation in your body. Maybe your doctor has instructed you to be walking around the office once in a while so as to reduce the chances of contracting a lifestyle disease. 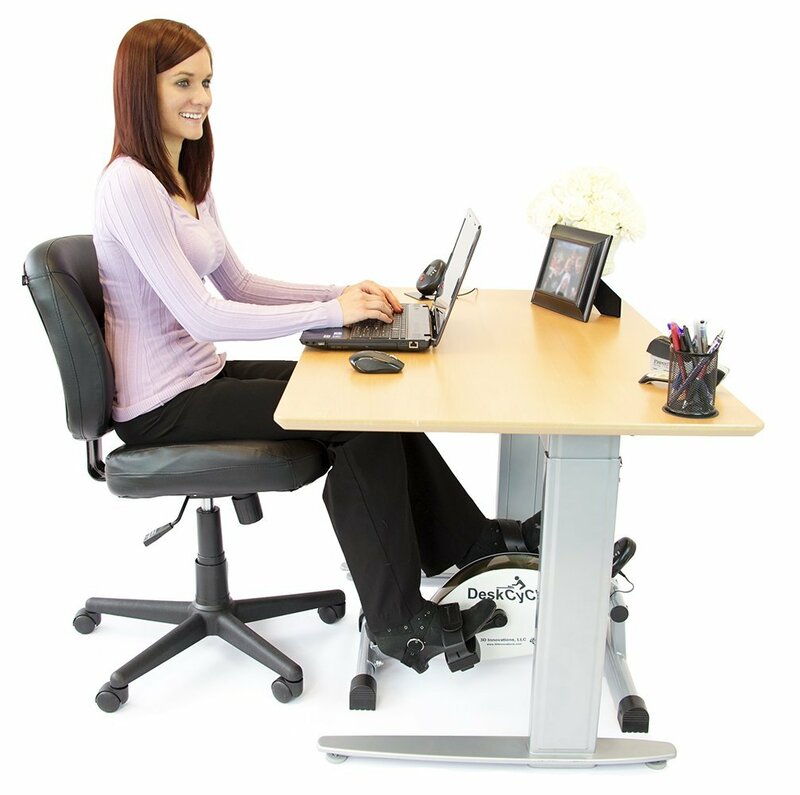 DeskCycle Desk Exercise Bike Pedal Exerciser enables you to hit two birds with one stone- you don’t get to stand up and shelve important work, but you still manage to comply with your doctor’s recommendations. It has a calorie calculator that gives you the exact number of calories burned, a progressive scan, and a small display screen showing the time, maximum speed attained, and distance covered. The fitness bike has to counterbalance pedals that are fitted with foot straps. • Its calorie calculator is accurate. • A user must have an external seat. • Do not exercise the upper body. If you are looking for comfort, fewer back constraints, and some touch of fancy and your budget is not overstretched, then this is the fitness bike for you. The bike builds on the DeskCycle concept in regards to enabling multitasking during training. 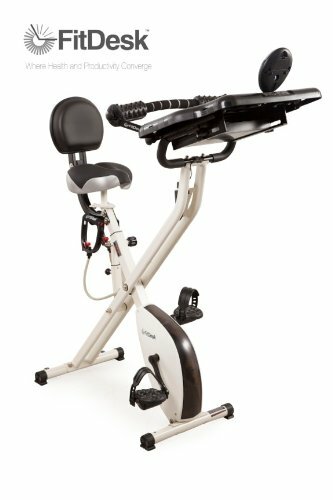 The FitDesk v2.0 Desk Exercise Bike with Massage bar makes the list of the top five exercise bikes due to its unique features such as a twin belt for enhanced safety, durable paint coat, digital resistance meter, and an unmatched powerful gearbox. The twin-belt is necessitated by the bike’s flywheel that is designed for high velocities and compliments the adjustable foot straps with regard to user safety. Comfort is key on this bike, as it has massage rollers, an adjustable armrest, and a drawer where you can place your laptop and complete job or school assignments as you work out. The massage rollers are padded with rubber and placed on the non-slip surface. The digital resistance meter serves as a calculator for time, speed, calories burned, and distance covered. With this bike, you get to do your stuff at an upright posture which adds to the comfort. What’s more, FitDesk v2.0 Desk Exercise Bike with Massage bar is foldable thus easy to store and carry around. If you are planning to embark on an outdoor training adventure, this bike could be an ideal choice for you. • The meter is not reliably accurate. This bike is among the best spinning exercise bikes in the market today. Its flywheel is designed for high speed and weighs about 40 pounds- almost the same as the one you find in a fitness center. However, the speed is customizable meaning you get to control how fast the bike goes. With Pro Indoor Cycling Bike by Sunny Health & Fitness – SF-B90, Gray, you will be able to burn all the calories that you desire within the comfort of your home. It is light and portable and comes with wheels. The handlebar and the seat are padded to give you a comfortable workout session and comes with adjustable knobs that you can use to adjust either the seat or the handlebar upwards/downwards. What’s more, you can choose to bend or stand as you cycle depending on your fitness level and experience. The bike’s foot straps, on the other hand, are customizable and are designed for your comfort. 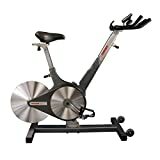 If you are a pro or a beginner, have no time to go to your local fitness center, or you intend to workout alongside your spouse at home, then Pro Indoor Cycling Bike by Sunny Health & Fitness – SF-B90, Gray is the bike for you. 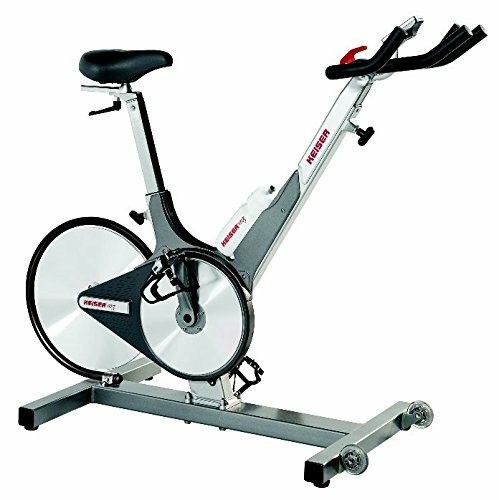 If you are looking for an exercise bike for your leg joints, hips, and back, then this bike can be a good choice for you. Measuring 22 inches by 34 inches by 54 inches and weighing about 63 pounds, this fitness bike is designed to be stationary for indoor workouts only. It can hold up to a weight of 300 pounds at a go. To enhance user comfort, the bike comes with a padded backrest, an adjustable seat, and both front and side handlebars. 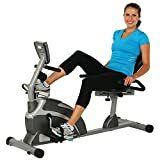 Exerpeutic 900XL Extended Capacity Recumbent Bike with Pulse has adjustable foot straps and torque cranking system for easy, safe, quiet, and smooth pedaling. You will also be able to monitor your progress on the bike’s LCD display that updates you on the number of calories burned and your average speed, among other key workout data. This is a better alternative to Exerpeutic 900XL for indoor training. It is made of sturdy steel that is coated with a protective gray paint for durability. The bike is bulky and stationary but has transport wheels for easy movement around the house. If you are looking for a bike with high magnetic resistance for indefinitely many fitness levels, then Keiser M3i Indoor Cycle Stationary Indoor Trainer Bike is a good choice for you. For your comfort, the bike comes with adjustable handlebars, a drive belt, and a rubber padded seat. It is small in size and allows you to bend and stand as you practice. What makes this bike outstanding among the rest is its inbuilt computer that you can use to monitor multiple workout variables at once. However, this bike does not give real-time performance displays. Are you looking for a combination of class, efficiency, and portability in a bike? Then your bike is here. Experience the friendliness of Exerpeutic Folding Magnetic Upright Bike with Pulse as a beginner and the endless challenges it throws your way as you advance. This bike is small, classy, and foldable, meaning that you can carry it to your office and back home as often as you wish, and you don’t have to freak out looking for storage space. Is it the joints you want to exercise? Or is it your full body? This lives up to your workout goals. 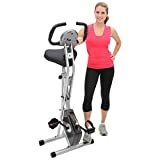 Exerpeutic Folding Magnetic Upright Bike with Pulse ranks first for its hand heart monitor that keeps your pulse rate in check as you work out and warns you everytime you overdo the exercise. This bike measures 26 inches by 21 inches by 50 inches and can support a weight not exceeding 220 pounds. Other key features of this bike include a digital display system, padded handlebars, and a well-raised adjustable seat. Doing exercise in the comfort of your home saves you time and money. The exercise bikes discussed here are all good in one way or the other and comes at different prices, giving you a variety to choose from depending on your budget. The bikes are efficient and user-friendly. You won’t be disappointed after purchasing either of them.